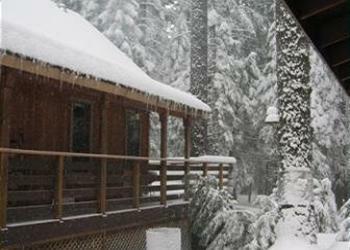 Welcome to Big Trees Chalet ! Long covered porch at the entrance. Relax and enjoy the views all day. Breakfast in the trees anyone ? 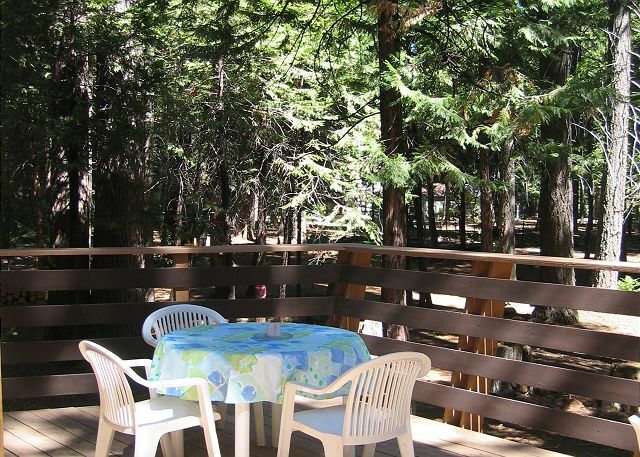 Use of the Big Trees Rec Center available with cabin rental. 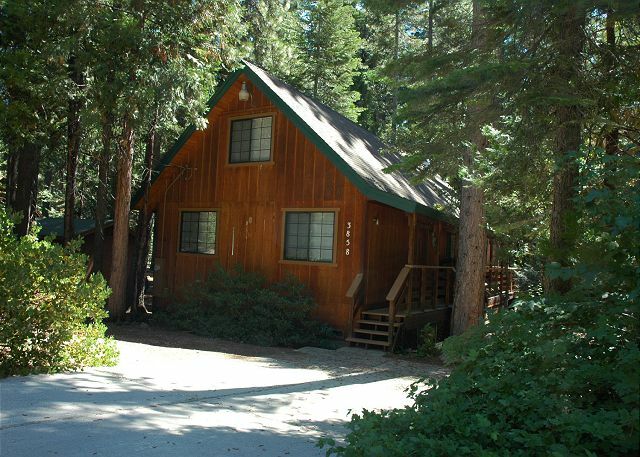 Duck Lake is a short drive and hike from this cabin. Easy and fun hike for all. 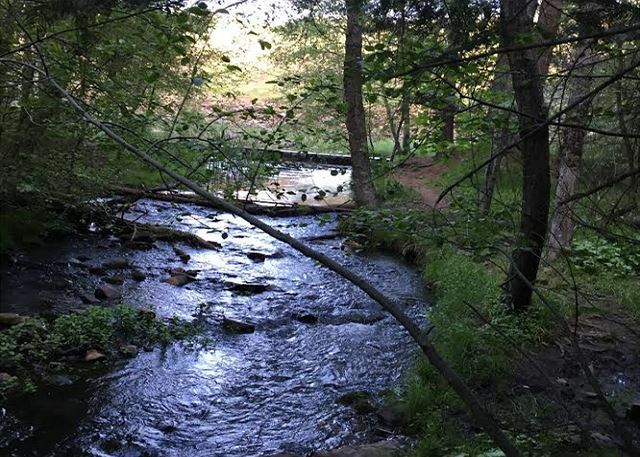 Discover mountain streams in the area will hiking the Arnold Rim Trail. 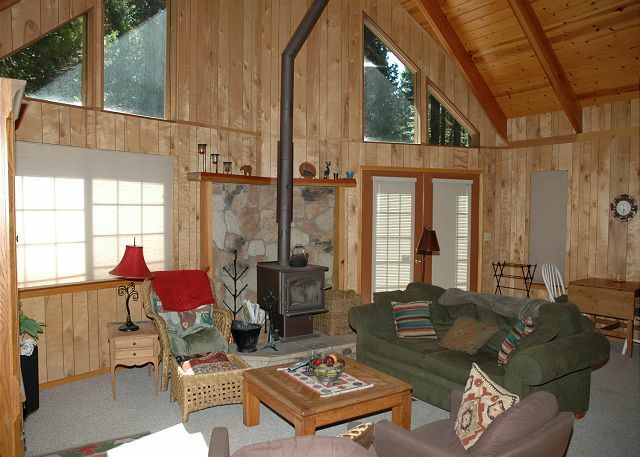 Comfortable living room with a wood burning stove has plenty of seating and windows. 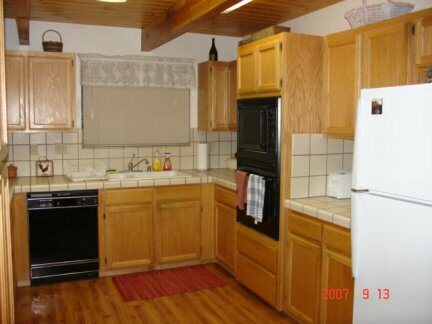 The kitchen has all modern appliances. 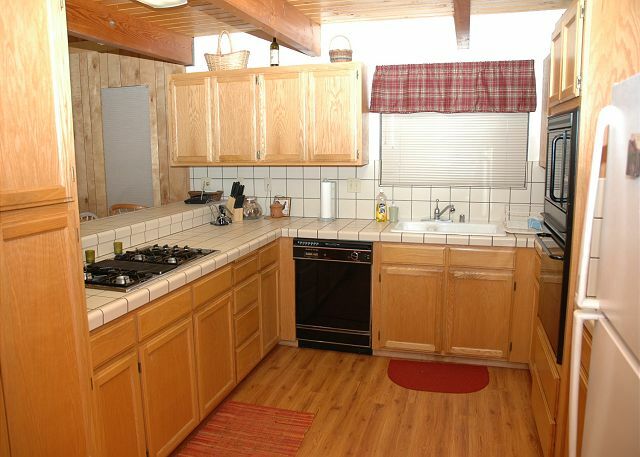 Lots of counter space and an eating bar for visiting. Extra seating at the bar for larger groups. Dining table seats 6 comfortably. 1st bedroom is on the main floor with a queen bed. 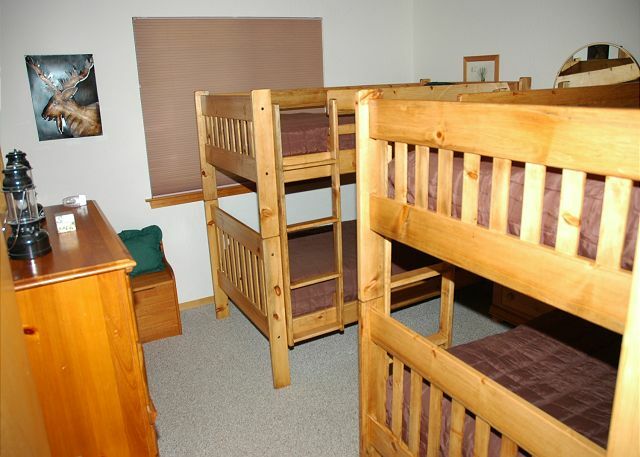 2nd bedroom is on main level and has 2 sets of bunk beds. 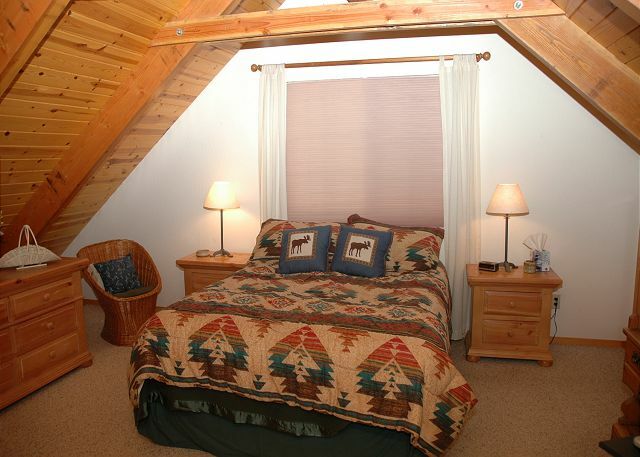 3rd bedroom is upstairs with a queen bed. Loft has a double futon, a foosball table, books and a TV with vcr. Great for the kids! The loft also has a futon for additional sleeping. 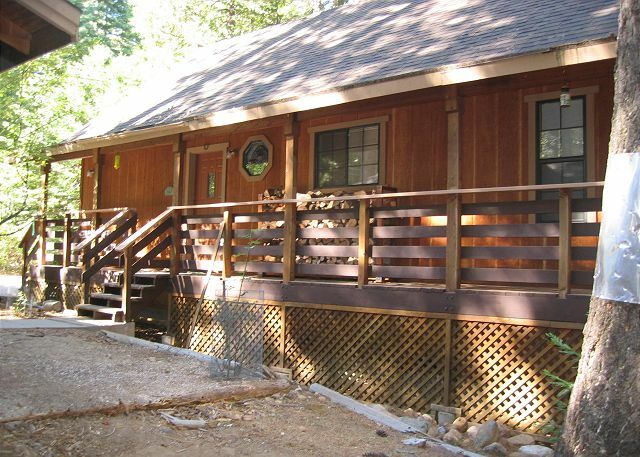 THIS CABIN REQUIRES A 5 NIGHT MINIMUM FOR ALL STAYS. 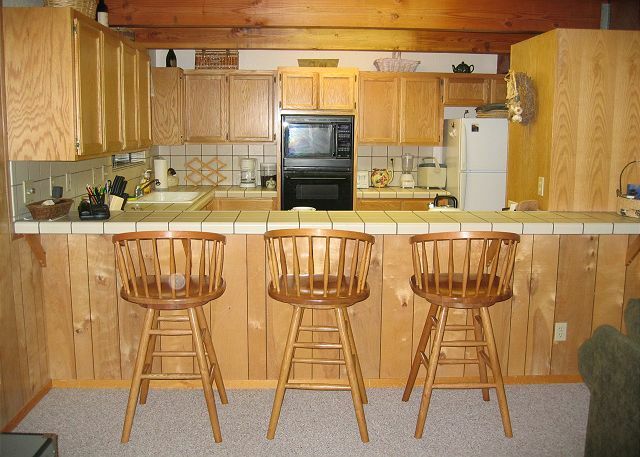 ALL CABINS HAVE A HOUSEKEEPING CHARGE AND COUNTY TAX IN ADDITION TO THE RENT. 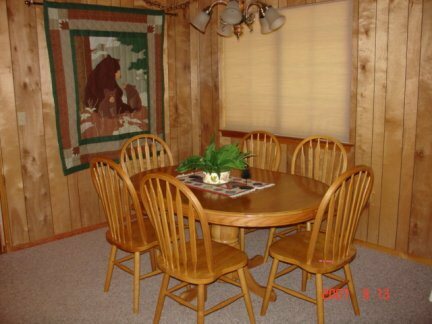 This is the cabin your family always wanted. With 3 Bedrooms, 2 bathrooms, and a loft, there is plenty of room for the whole family--or two! 2 bedrooms and a bath on main level. 1st has a queen, 2nd has 2 sets of bunk beds (4 twins). 3rd bedroom is upstairs and has a queen bed. 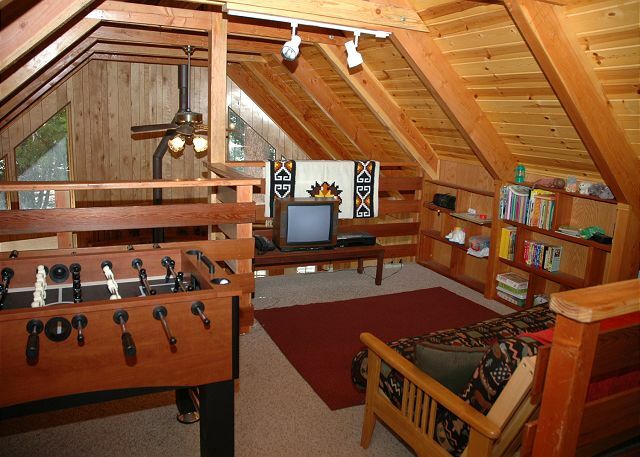 Also upstairs is the 2nd bathroom and loft with a queen size futon and foosball table, as well as kid's books and games. Double sleeper sofa in living room, 32 inch HD flat screen TV, VCR & DVD, stereo, Digital Cable, Wireless Internet Access. Forced-air gas heat & wood stove. Great level access. Sleeps 10-11. Charcoal BBQ for summer only. (Guests should bring their own charcoal). No smoking or pets. 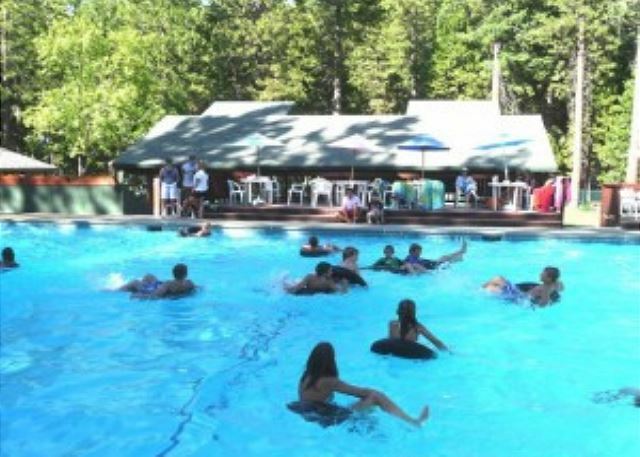 Big Trees Recreation Center privileges in summer (additional fees apply). 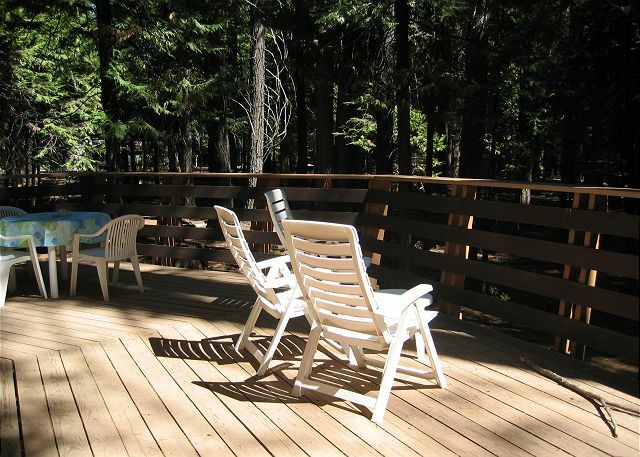 Only a short distance from skiing, fishing, hiking, Calaveras Big Trees State Park, and more! We will stay here again in a heart beat. Dan and Mo Seider, the property managers, were amazing. Our only wish is that it wasn’t a 5 night minimum. We had extra time off from work to stay during the holidays but during the rest of the year, a couple nights to rent it, when we want to ski is sufficient. Thank-you! We hope to see you again soon, a pleasure to have you as our guests. We had a great family vacation at Big Trees Chalet. The house was well equipped with everything we needed for our Thanksgiving holiday. I will mention that there was a considerable amount of food left in the refrigerator and we were not comfortable throwing it out so it did make the refrigerator a little crowded. Also the dishwasher does not work properly. 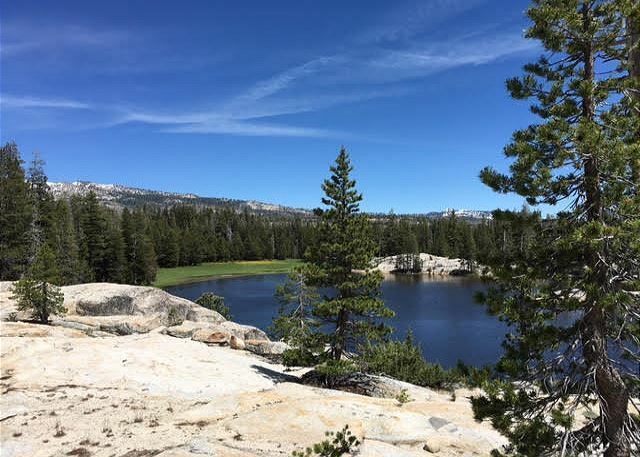 We are glad you had a great stay and holiday in the beautiful sierras! 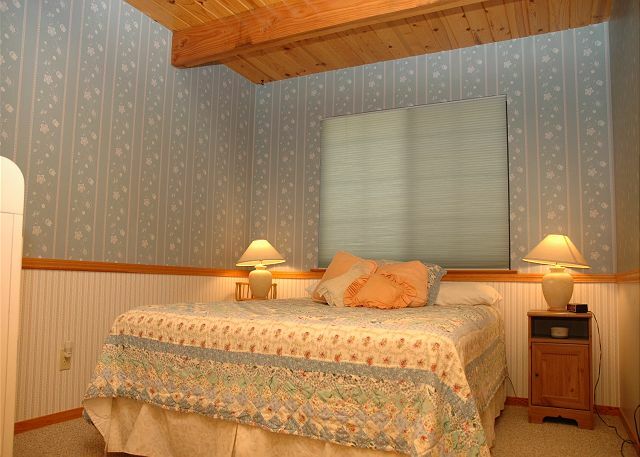 This is one of our most popular cabins ! We are available 24/7 should there ever be any problems with appliances functioning properly during your stay. We don't like to find out about service issues in the reviews for we want to make sure everything is functioning properly for you during your stay. Once we receive a call that there is a problem we will reach out and call our service crew and work diligently to have any problems taken care of as soon as possible. We will have the dishwasher inspected and serviced, thank-you for this information. The owners come often to their cabin and do want us to keep the condiments in the refrigerator. We will share your comments with them. We hope these guests return to stay with us again in the future. We really enjoyed our 3 night stay in this home. The free wifi and cable TV were a plus for the kiddos and the adults enjoyed the proximity to everything ie: grocery store, lake, Big Trees state park. Management was immediately responsive when we had questions about the home. Definitely coming back. We had a wonderful time. The cabin was just perfect! Had a wonderful Christmas in this cabin with my family. Very cozy with a very efficient woodburning stove and a well equipped kitchen. 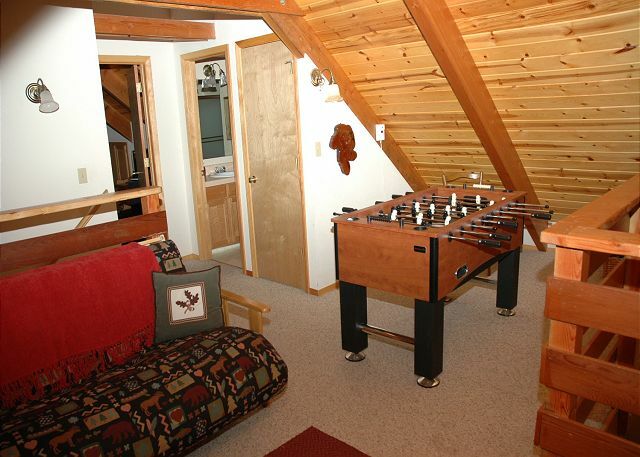 Nice loft (play area) with a foosball table to keep the kids happy. Christmas music was playing when we arrived and stove was lit-very welcoming. I would definitely recommend to friends. Linnea (in the rental office) was soooo helpful and professional, it was a pleasure planning and executing our plans with her! Annual trip with family to the snow. Among the many cabins we have stayed in over the years, we especially enjoyed the ambience of the Big Trees Chalet (Mack). The cabin was well-equipped and comfortable. We even found adequate supplies to deal with a power outage.We enjoyed our stay, and would be happy to return. We had a great time. It was a very nice and well maintained cabin. We would come again and we would recommend it to others without hesitation.